We are Virtual Hideout, a virtual reality and gaming hub found in central Manchester. With the use of our virtual reality headsets we give everyone the opportunity to step into virtual worlds with room scale virtual reality that will give unique experiences to those wanting something new and exciting. Along with our Virtual Reality experience units, we also offer a dedicated gaming space where people can team up or go head-to-head on a game of their choosing on our high-end PCs designed for new and experienced gamers. Virtual Hideout is set up for everyone in mind. With a wide variety of games and experiences, we offer a unique and friendly space giving everyone the perfect opportunity to have the experience they want, whether that is exploring an incredible new world, meeting fantastic beasts or fighting hordes of enemies. Whether it is for a family day out, or for a new high score on the leaderboard we have something for everyone of all ages. 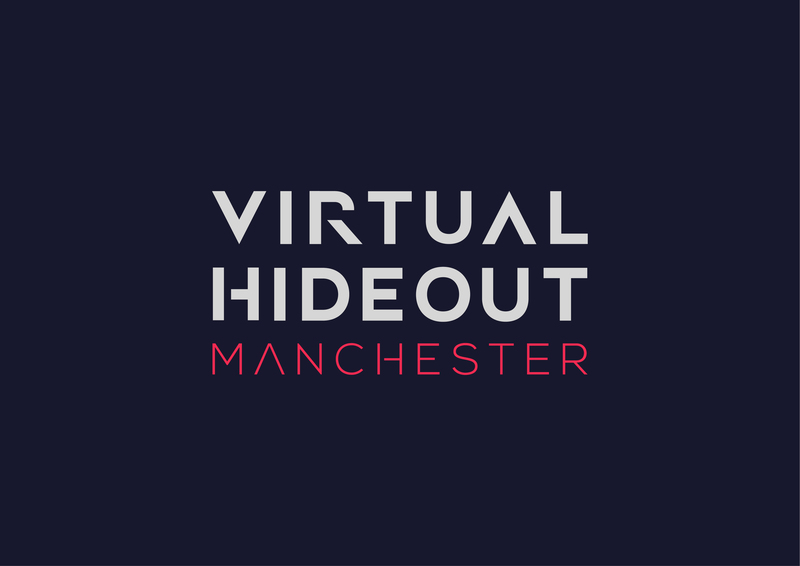 We have launched Virtual Hideout as we believe virtual reality to be an incredible experience that everyone should be able to enjoy, but unfortunately due to various reasons such as cost and space, this isn't always the case and so we have set ourselves up in the perfect location to be the centre for virual reality and gaming in central Manchester.